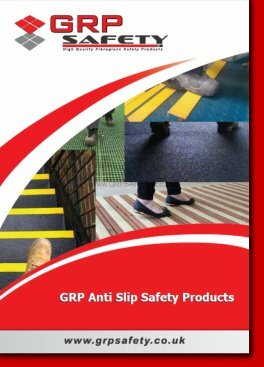 At GRP Safety Limited we offer a cutting and fabrication service for all of our products. 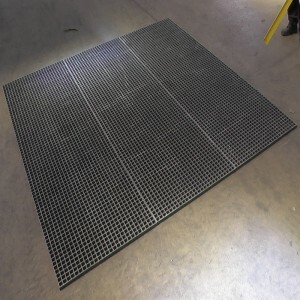 All products are stock in large lengths or panels/sheets and can be cut down to size to suit your particular application. 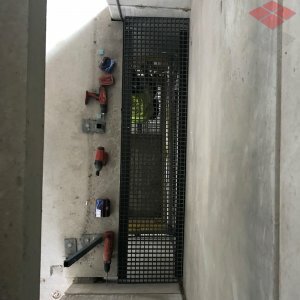 All materials are cut by our experienced operatives to your exact size within a minimal tolerance, so you can be assured that what you get onsite FITS! 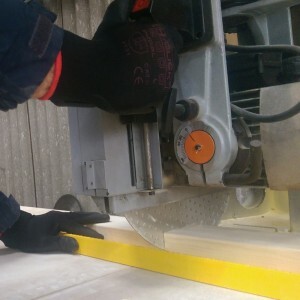 Standard cutting is free of charge and within our standard service offered. 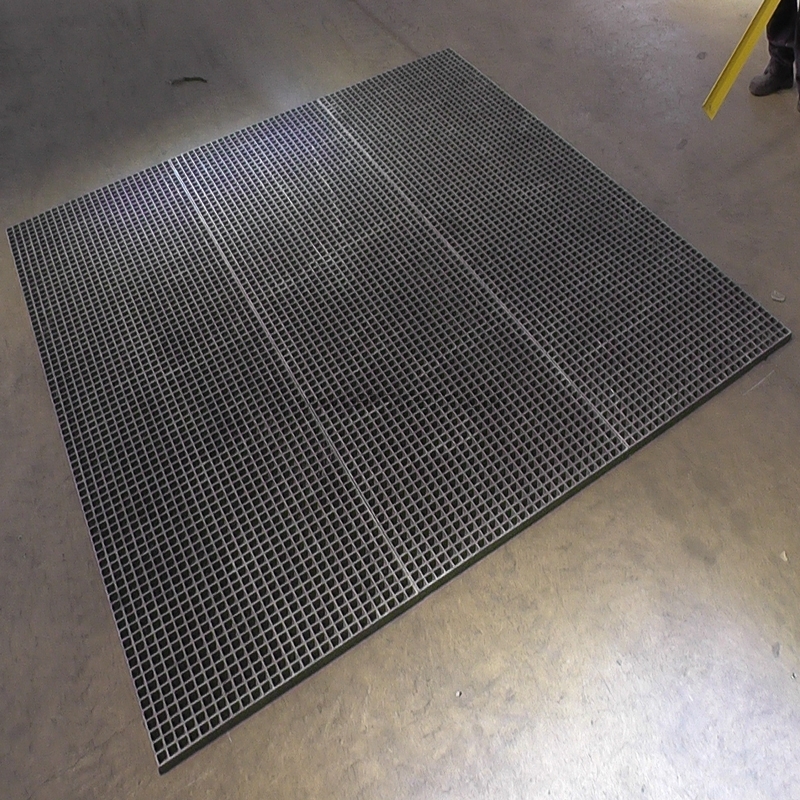 Special angles or shapes can also be achieved by our Factory Cutting team to minimise time onsite. Again within our tolerance we are able to cut and shape to your exact drawings (additional charges may apply). 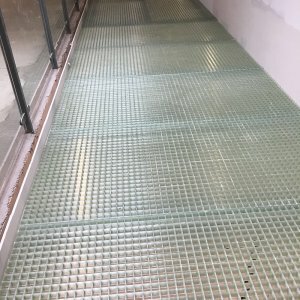 Once all materials have been cut to the specific size/shape they are completely blown down to remove any surface dust and debris and then packed ready for shipment. 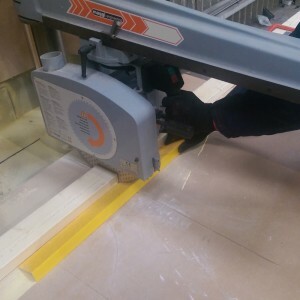 Pre-drilling for stair treads, stair nosings and flat sheet can also be done inhouse to minimise costly time on site. 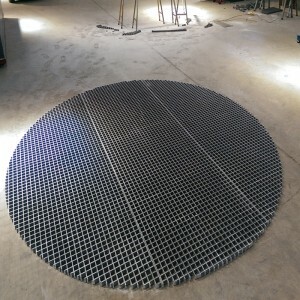 If you have any exceptionally complex or unusual requirements requiring cutting or fabrication, please email us sales@grpsafety.co.uk and we will be please to offer a bespoke quotation for any works. Whilst a large part of the GRP Safety business is supplying full panels to Industry we can also undertake special requests in our works unit. 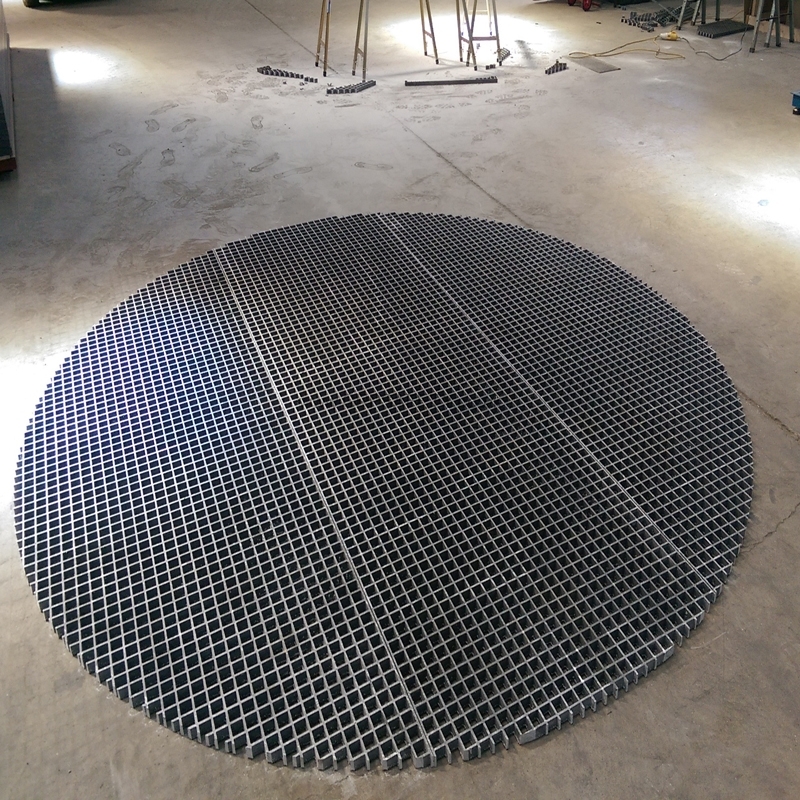 In the below simple example we were asked to create a perfectly round circle from three grating panels for use as a walkway platform on the top of a fibreglass tank.